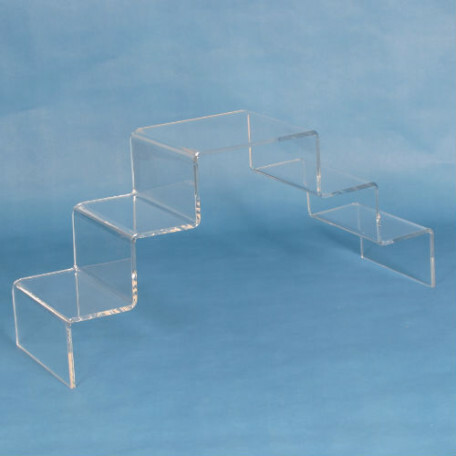 These sturdy square topped lucite risers are excellent for prominently displaying figurines and collectibles. Top of riser is square and the height is 1/2 the dimension of the side of the square. All risers come as singles unless they are ordered in a money saving set. All "half height" risers are a sturdy 3/8" thick.